Valet parking is available in front of Somerset & Viceroy Chicago. 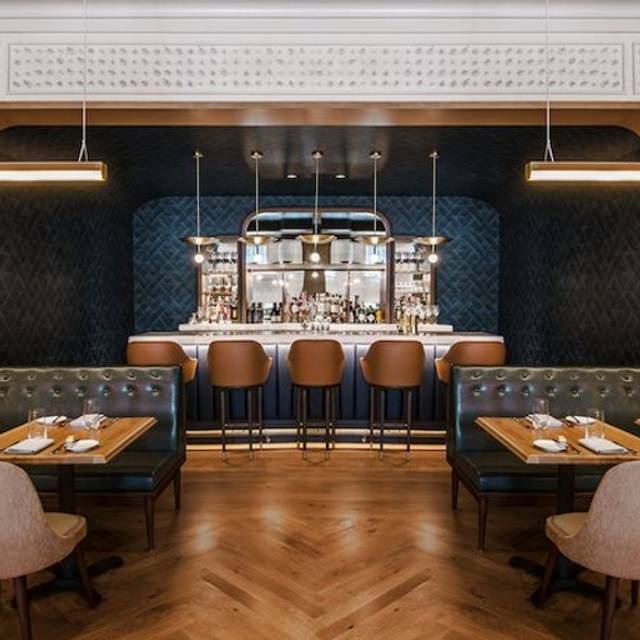 Somerset is open daily for breakfast, lunch, and dinner serving American cuisine from Michelin-starred Chef Lee Wolen (Boka) and the acclaimed Boka Restaurant Group. 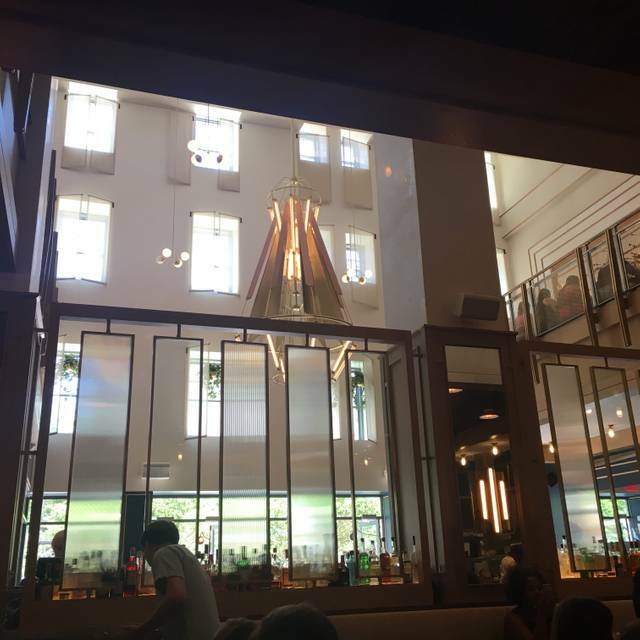 The locally sourced menu features what Chef Wolen describes as "food people like to eat." Menu highlights include the Whole Roasted Chicken (for two), Smoked Beet Tartare, seasonal flatbreads, as well as housemade pastas. Pastry Chef and Jean Banchet Award Winner Meg Galus has crafted the dessert program including whimsical takes on classic favorites. 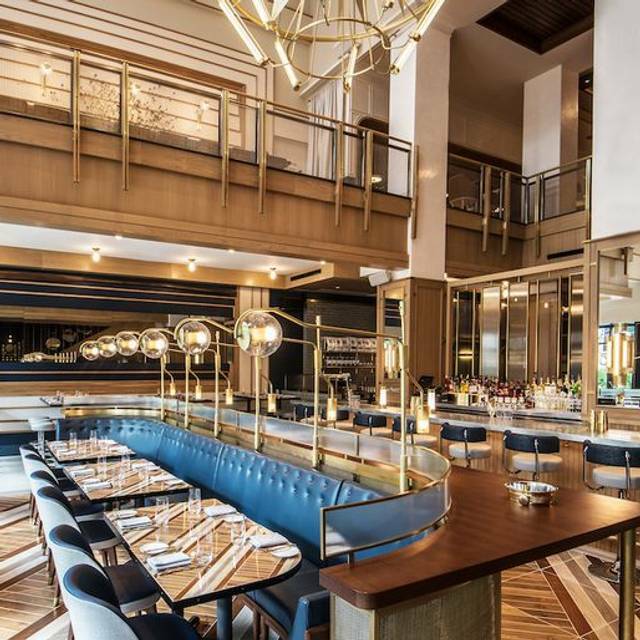 The interiors, designed by James Beard Award winning design firm Avroko, are inspired by a new-fashioned take on American Country Club culture. Great food and great service combine for a wonderful evening! Great service, wonderful beverage program. Very comfortable setting. Oh, great food too! This was our second visit. Much like the first visit, the service was a little off but otherwise good. The first time we sat downstairs, it seemed noisier upstairs. Sunday brunch with a long time friend. Great ambiance! Loved the decor of Somerset. I am a vegan, and unfortunately, there is nothing vegan friendly on the menu, so I did have to ask for something special. They were able to make it which is great! Our waiter did seem a tad bothered when I asked for the veggie skillet, without the eggs, because they were "really busy today". In the end it all turned out okay. I would recommend to others just for the ambiance, a girls brunch. Excellent service, beautiful setting and the chicken + French toast was amazing! Beautiful setting. Good food and service. I can NOT tell you what an amazing evening my friend and I had!! It was her birthday, and she was given a Personalized menu! The waitress was Unbelievable!! Karen Lynn. She was extremely friendly but not "fake" nice, like so many waitresses are. She was professional, timely, concerned. Actually, ALL of the staff were great!! Oh, and the food was phenomenal! We split two appetizers, and the half-chicken. Sundae for Two for dessert! But my friend also rec'd a complimentary piece of cake with her name written in chocolate on the plate! We sat on the upper level, overlooking the rest of the restaurant. It was just a Perfect Evening, all around! We Thank Somerset for a great evening and we shall return!! I cannot say enough good things about Somerset. 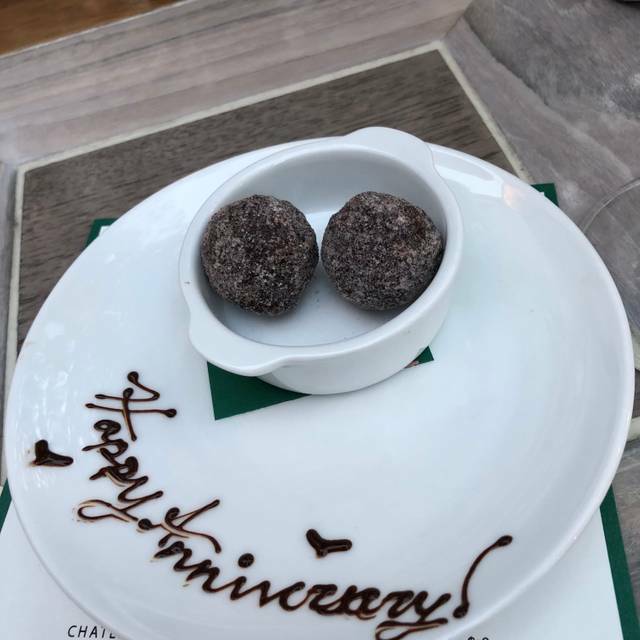 We celebrated an anniversary and my Mom's birthday there. Both times the food was fantastic and the service went above and beyond. I think everyone in Chicago needs to celebrate something at Somerset. They were able to vibe with my suburban father who only drinks gin and tonics and enjoys mostly hamburgers while remaining a really cool modern restaurant (he even said that was the only time he's ever had beets that he thought tasted good!). I would take my parents, my way cooler younger New York City cousin, my in-laws that I'm trying to impress, my boyfriend, and basically anyone I know here. Definitely go if you're celebrating something special because they pay attention to the details you put in the open table notes and knew right away it was my mom's birthday - they even gave her a special birthday menu! Fernando, our server, was fantastic. His recommendations for food and beverage pairings were perfect. We opted for the beef (they also had beet) tartare, which was delicious. We followed it with the whole fish (grilled branzino with olive tapenade and wax beans) and asparagus. The char of the fish matched perfectly with that of the asparagus. We’ll be back for sure! Great food and service. I would go just for the bread. We had a great brunch. We did the pastry board and the cinnamon roll - amazing! 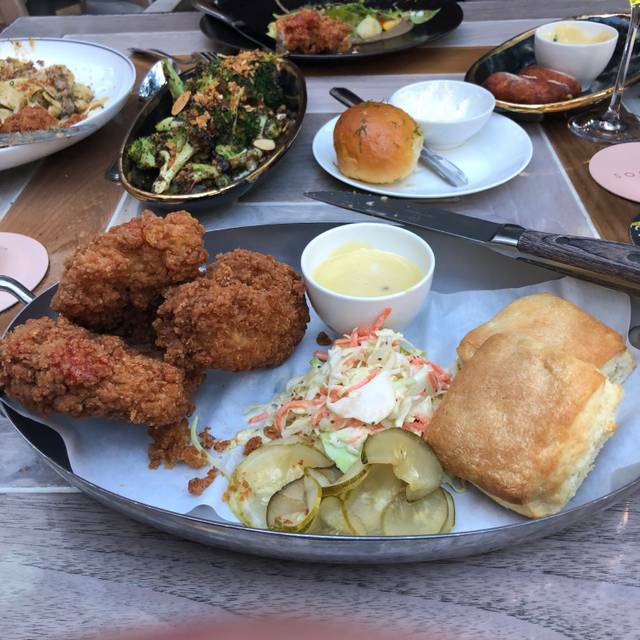 Loved the fried chicken sandwich. The French toast and chicken were more like pound cake. Only complaint: toast was a bit overdone for the avocado toast. Go for brunch. It was great! Amazing food, amazing service. Highly recommend coming here!! Server seemed inconvenienced by our party of 4. We only ordered 2 apps and three drinks. He forgot to put in 1 app—not the greatest service. We were one of maybe 4 tables at the time. We walked over to Somerset after a matinee. The restaurant is beautifully decorated. However, they did dim the lights so much that it was rather dark. Our reservation was for 5pm, but we arrived early at 4:30pm. Although the restaurant was able to seat us early, they would not provide us with the dinner menu until after 5pm. While we waited, we ordered drinks. Well after 5pm, we had to request the dinner menu. Service was very slow at that point. 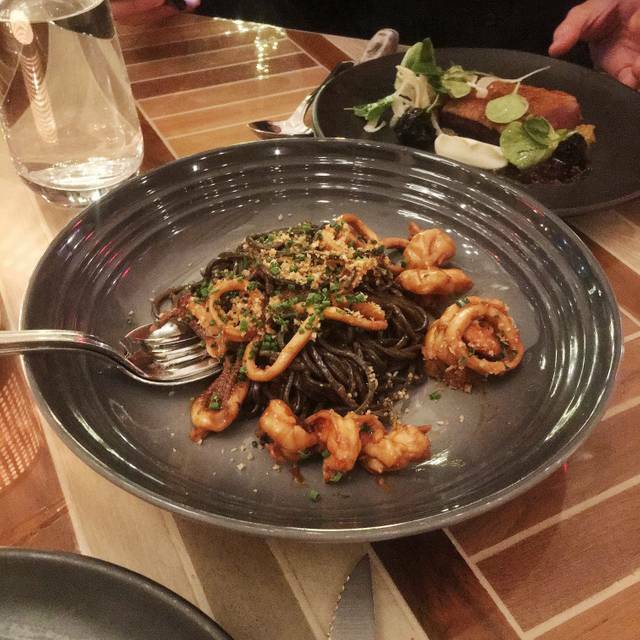 We ordered the octopus appetizer, which was very small but good. I had the cauliflower steak, which was tasty, but definitely overpriced. My fiancé had the white fish. Good, but not great. We then, had the lemon tart, coconut lime sorbet, and mango passion fruit sorbet. The deserts were fabulous. Best part of the meal. In my opinion, there are so many delicious restaurants in Chicago at a similar price point. We regretted trying Somerset out instead of going to one of our tried and true favorites. Food was okay but boring - in the past, the flavors were more thought out and robust. Fantastic flavors, the chef is very creative with his creations. We enjoyed our experience at the bar and in the restaurant although it was a busy Friday night. We could not get a spot up to the bar during our wait so the bartender actually came around the counter to offer a menu and take our order. Wow! That has never happened before. We will return soon! Very friendly staff - my friend received complimentary birthday cake! Great food and atmosphere! Would definitely recommend . 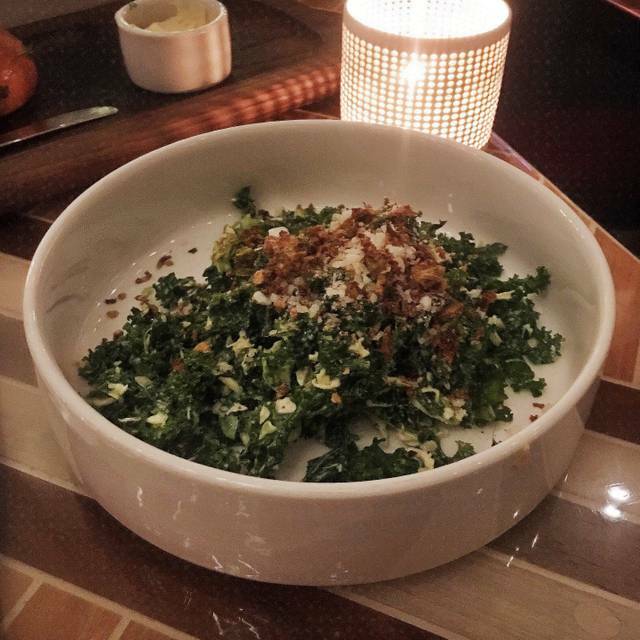 Their kale salad is delicious!!! The inside of this restaurant is greatly decorated and makes for a relaxed dining experience. It’s incredibly clean and the servers are near whenever needed. The foods great for everyone. Overall wonderful experience! Our sever was amazing. We asked her to surprise us with a side dish because we couldn’t choose and we ended up with the Brussel sprouts which were divine. My friend and I split one of the “Two-share” dishes which was the Branzino with couscous. It was delicious and cooked perfectly. Amazing service and delicious food!!! Definitely will be back! Great place! Enjoyed the ambiance, service and choice of foods. Excellent for a business meal! I have a reservation they let me wait. spacious brunch place. cannot wait to sit outdoors when it's summer! Exceptional experience - from each interaction with the Somerset team, the atmosphere / ambiance, and of course, the food. Ate here right after they opened in 2017. Food was amazing then. Went back tonight and unfortunately...food is now average at best and making it over priced for the quality. Sadly, won't return. Love the atmosphere and location (of you're in the mood for the triangle) but I wouldn't recommend this food as outstanding anymore. Whole chicken with sausage inserted below the skin is awesome. White meat does not dry out. Wonderful waiter, great cocktails and the food was awesome too. Love this restaurant! 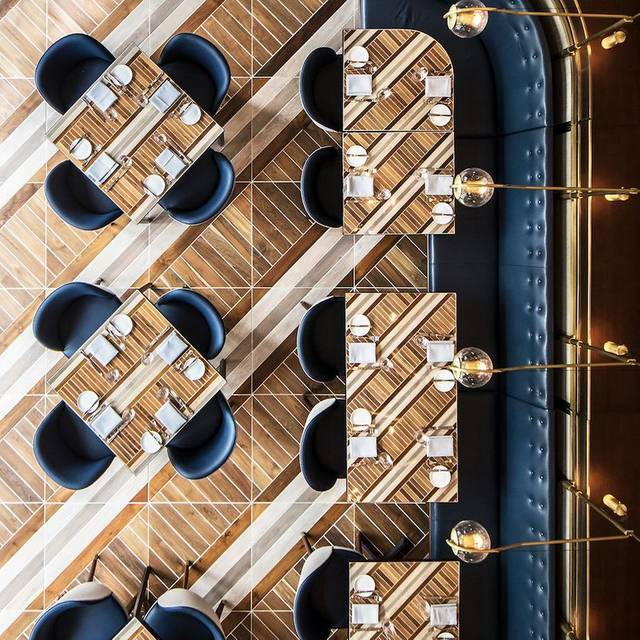 Another star winning restaurant by Lee Wolen. Fabulous food and experience. It’s a winner! 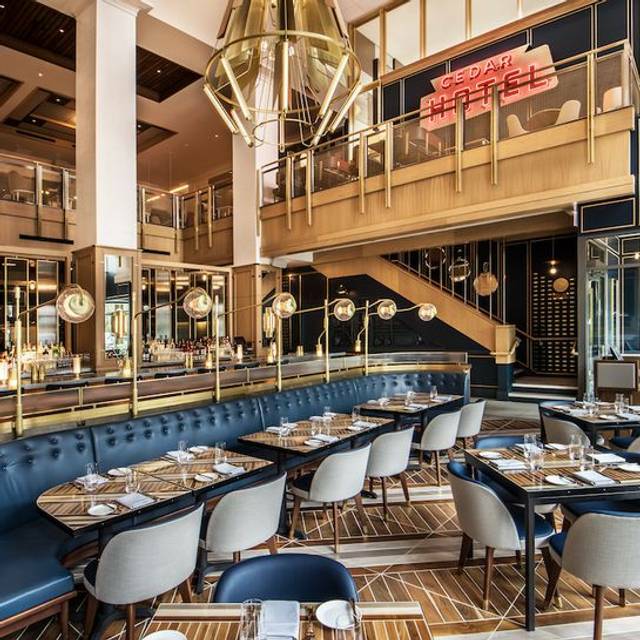 I have eaten at Somerset 10+ times, and the last two have been terrible experiences. I brought out of town guests this past Sunday. We were not seated for 30 minutes, drinks took another 20, and when the food finally arrived cold-it was subpar. This is the second time brunch on a Sunday morning has been poor. The waitstaff is not equipped to handle so many guests and the throughput of the kitchen is not fast enough. It was too loud to speak across a table of 5. We were never served a second round of drinks after attempting to flag down the waitress multiple times. I will not return or recommend. I was very disappointed, as Somerset used to be a mainstay for my husband and I.